Phil Schneider is joined by Will (Dangerous Alliance, Good Will Wrestling) for a new podcast that spotlights rarely seen matches from around the world. We’ll travel to random Indies, Japan, Mexico and other locales to find the best wrestling from the past and present. 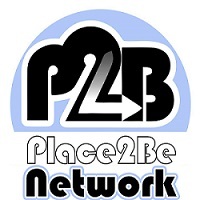 You can listen to each episode of Digging in the Crates right here at Place to Be Nation and also through iTunes and Stitcher by searching and subscribing to The Place to Be Podcast. Check out more from Phil at his blog, Segunda Caida.